A fish hook and a fish call. 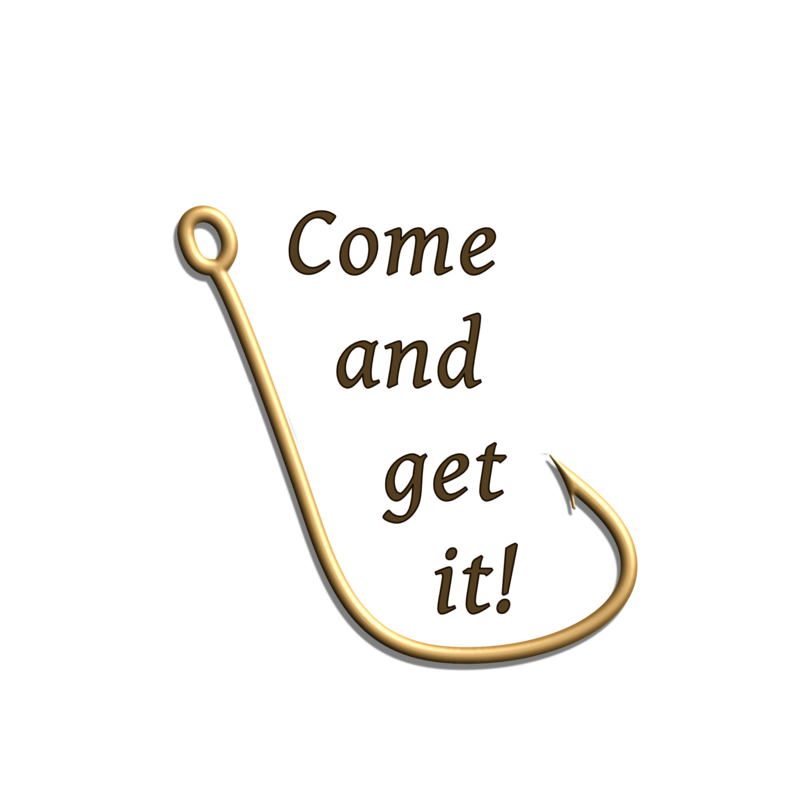 Check our fantastic Come and Get It Fish collection of products. Get some today!! The ultimate fishing shirt. A fish hook and a fish call.